POOL - Competition Pool: One 50-meter pool with ten-7.5-foot wide lanes each with nonturbulent lane markers. Colorado Timing System will be used. For all sessions, lanes 1-9 will be utilized for competition, with lane 10 reserved for warm-up and warm-down. LCB reserves the right to use all ten lanes for any session and not have a warm-up/warm-down lane. In the event of circumstances necessitating changes during the meet, information will be updated on the LCB website at www.lcbswim.com. Balcony spectator seating is available.The West end of the pool has a minimum depth of eight foot (8’). The East (diving well) end of the pool has a minimum depth of fourteen feet (14’) The competition course has not been certified in accordance with rule 104.2.2C(4). MEET FORMAT - All events at the LCB “Making Waves” Invitational will be TIMED FINALS. This meet will run with split sessions on Saturday and Sunday. The Friday evening session consists of the following groups: 10 & Under, 11-12, and Open events. The Saturday and Sunday morning sessions will consist of the following age groups: 11-12 and 13-14 events. The Saturday and Sunday afternoon sessions will consist of the following age groups: 10 & Under and Open events. Any swimmer may swim an open event but, they will not count towards individual high point trophy. The 8-Under and 9-10 Age Groups will compete together but will be awarded and scored separately. On Friday night, the 13-14 and Open Age Groups will compete together but will be awarded and scored separately. 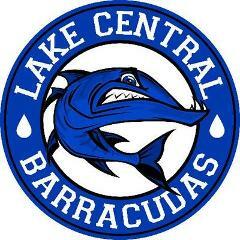 The Lake Central Barracudas reserve the right to limit the number of heats in all events to keep the time line manageable. There will be refunds for all swimmers not making the top heats. Limits will be posted to the Lake Central Barracudas website on Tuesday, May 07, 2019. If a swimmer misses their event, they will be declared a “no show” and will not be placed in any other heat to make-up the swim. Lake Central Barracudas reserve the right to use “fly-over” starts for all events. MEET FORMAT - Each swimmer will be limited to 4 (four) individual events per day. AWARDS - Ribbons will be awarded for 1st through 20th place in all events. High point award in each age group (8-Under, 9-10, 11-12, 13-14) Awards will not be mailed. OFFICIALS - LCB will need the help of your USA Swimming Officials. If you have a member that is in charge of your officials, please provide his/her name & email address on the entry summary form where requested. Keep all trach picked up (Swimmers and Team Areas in particular). Do no go or let children go in any unauthorized areas. This means any place other than the lobby or seating area. Due to USA Swimming insuracne requirments, only swimmers, coaches, officials and volunteers are allowed on deck. There can be no exceptions! Absolutely No Smoking is allowed on the LCHAS grounds. they will immediately be asked to leave the meet and will be barred from further competition.